Dutch Passion - Ultra Skunk. Free US delivery. 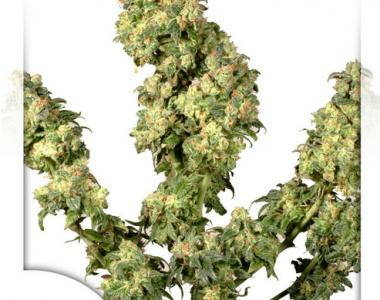 Unlike the other Skunk varieties offered by Dutch Passion, Ultra Skunk is an excellent example of a very homogenous Cannabis variety, meaning it has very consistent genetics that are stable. Thick buds that exert beautiful wooly pistils are usually found all over this plant and sizeable yields are not uncommon! The taste is SWEET, SOFT, and FRUITY. The resulting 'high' is up, soft, but lasting. Overall, this strain is quite a nice treat and is definitely worth the investment.